To create a community of children and adults based on the principles of respect, individuality, personal responsibility and cooperation. Help parents educate their children through creating a partnership, between child, parent and teacher. Help children develop a positive self-image which is key to the development of their full potential. Lead children to mastery of their intellectual, social and physical skills. Encourage inherent self-motivated and self-disciplined learning that will lead to a life-long pursuit of knowledge. 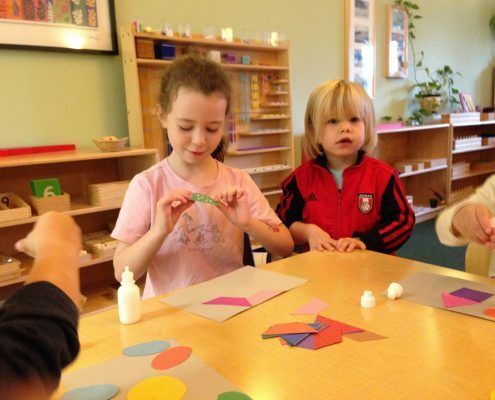 Montessori of Alameda in Portland, Oregon is based on the philosophy of Maria Montessori. Our environment is enriched by current research in early childhood development, conflict resolution and psychology. We believe that every child is born a unique individual. We are trained Montessori teachers and are committed to observe each child’s behavior, interests and to prepare our classrooms so they reflect each individual’s tendencies and needs. We believe that we are all part of a world community. We strive to encourage our children to strengthen their own cultural diversity and to appreciate each individual’s strengths and differences. We are committed to respect our natural environment. We believe our children are key players in the earth’s future. We encourage knowledge and respect for the earth and it’s creatures, no matter how small. 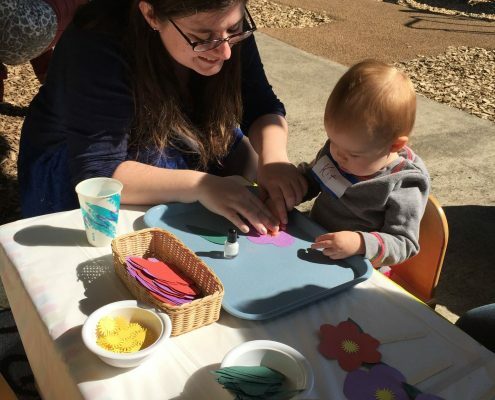 Montessori of Alameda is a Montessori community offering programs for children ages infant (3 months) through Kindergarten. Montessori environments are multi-age classrooms. Our infant rooms enroll children ages 3 months until crawling in our non-mobile environment. Children who are crawling are in our Woodlands classroom until they can walk. We have four classrooms for children from the time they are walking through the time they are independent in the bathroom: Cattail Marsh, Meadow, Arctic and Desertland. Our primary classrooms are for children 100% independent in the bathroom and emotionally ready. These rooms are: The Pacific Northwest, The Skyroom, The Forest, and The Seashore. All classrooms are bi-lingual, Spanish/English environments. We offer beautiful classrooms that feel like home. Decorations are soft yet interesting, often whimsical yet reality based. Each classroom has a mural representing a biome in nature. We serve only healthy snacks made of whole wheat ingredients, organic fruits or vegetables, nothing high in salt, sugar, processed or refined and always NUT FREE. Due to the wide range of family preferences we do not serve animal products. Children explore our carefully prepared environments full of interesting materials and activities that foster creativity and curiosity. Environments are rich in community building activities, development of self, appreciation of art, nature and care of animals. All classrooms have music everyday with music, movement, rhythm instruments, poetry and storytelling. We have playgrounds, gardens, covered sport court and grassy areas for many opportunities for outdoor play.